This add-on enables online sales with delivery services for your online menu build with a free MotoPress Restaurant Menu plugin. 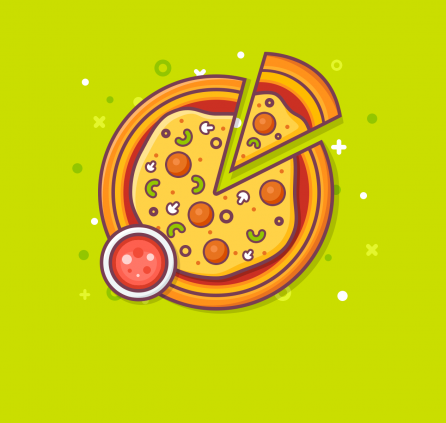 Offer food delivery and pick-up options to your customers. 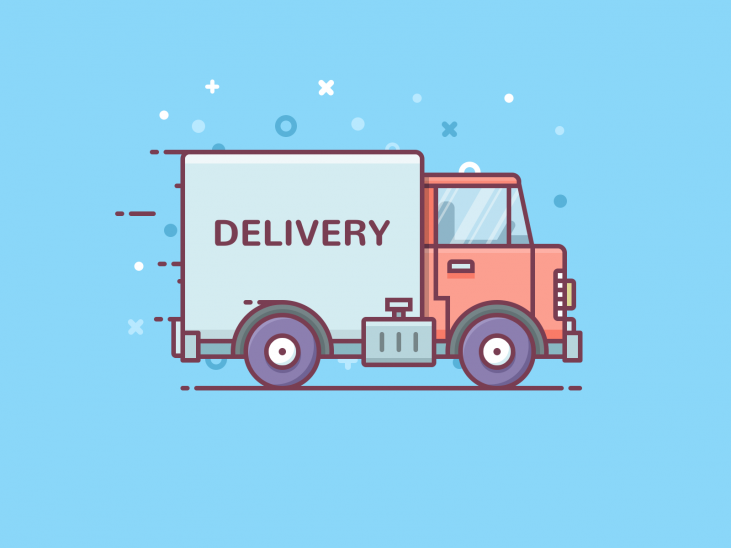 If your restaurant offers delivery and pickup options, you are free to enable both and give your online customers an alternative on the checkout page. Each of the options comes with individual admin settings and is supplied with a detailed list of steps for the users. Giving a choice is always a great way to lure more customers. You may allow customers to select time of delivery or pickup that is the most suitable for them. If you turn this option in your WordPress dashboard, the customers will see the appropriate field when inputting order details. 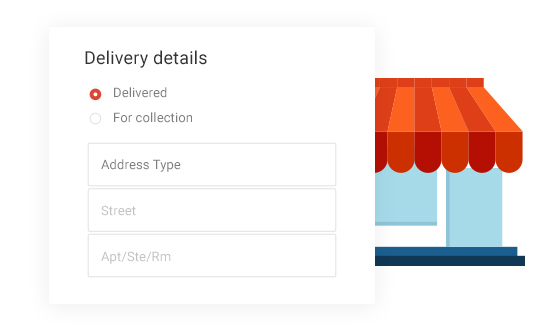 The order submission form includes some personal information needed for communication, delivery choice, payment gateways and an opportunity for the customers to leave any additional note regarding their orders. You may also set minimal time interval from the time of purchase to be shown to customers. 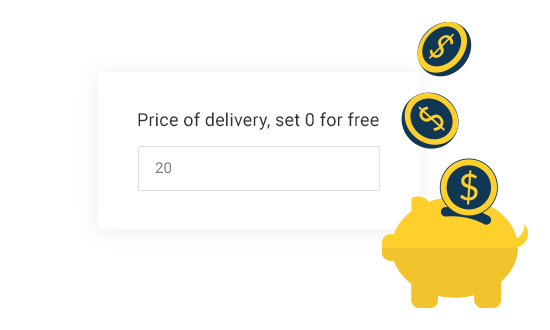 In the Delivery addon’s admin settings you’ll find an option to specify delivery charges if there are any. It’ll be shown to the customer on the final checkout page. 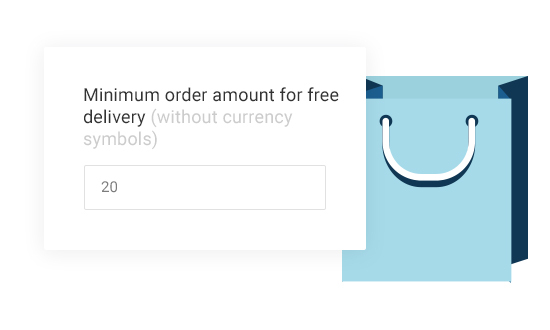 If your delivery services are free, just set this option to zero and your customers won’t be charged. You’ll also have the opportunity to provide a free delivery option for a particular order amount. You are free to include tax charges if required. The customers will be able also aware of the tax sum as it will be displayed in the particular field on the checkout page. 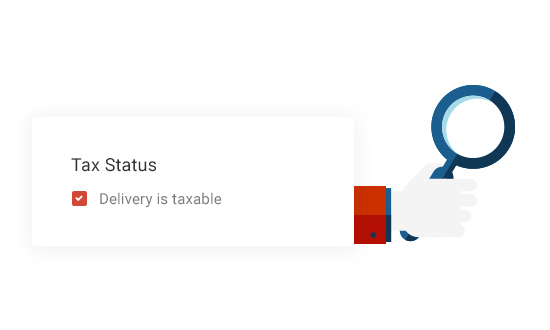 To set taxes in the plugin settings, you’ll need to set a tax status and specify the price in your WordPress dashboard. You might need this option enabled to grant free delivery opportunity for a specific minimum order amount. Using this option you can create a better pricing strategy providing some bonuses for your customers and get more loyal clients. A very easy marketing weapon and real discounts for the clients. It often happens that the customers want to add or remove something from their orders. They can contact you directly and ask to change anything. As the orders in the admin area are customizable, you can manually add/remove needed menu items eventually changing the final order amount. The admin management tools are very easy to manage – the enabled extension is editable via Settings, where you can set all needed prices and put your texts to show to customers. All your orders and customers are stored under different menus of the Restaurant Menu plugin. Each order is listed in details and can be manually updated. It is not possible to select a deliver date, only time. We can add this to our feature request list and the developers will review it for one of the future updates. We can update you when it gets implemented. Is it possible to limit delivery service for some cities? There is possible an informative box with text that explains your visitors about delivery terms, instruction, etc. Will/can you modify your “Hotel Booking WooCommerce Payments” plugin so it can be used with this plugin. I assume it’s not too hard for your developers to do so. i want to use iDEAL payment method is it possible to use iDEAL…? We are glad that you find our plugin interesting! The delivery addon does not add any new payment gateways. The ones that go with the free plugin are only available. You can add IDEAL by integrating a custom payment gateway following this instruction, but it requires technical knowledge. You can also use ‘Cash on delivery (process orders manually)’ payment method and send invoices via email. Thank you for your interest in Delivery addon however I’m not sure i got your question properly. Could you clarify it more detailed? Note: Delivery addon is a plugin that extends functionality of Restaurant Menu plugin. Yes, sure it can be used for any WordPress theme. You should just note that Delivery addon is an extension for Restaurant menu plugin. So this addon requires installation of Restaurant Menu plugin. Can this plugin be used with different themes?? Yes, sure Restaurant Menu plugin and addons are compatible with all WordPress themes. Hello, does this plugin let you pick a delivery zone? i dont want customers from 9 miles away ordering. also, i would like to charge different delivery fees based on distance, does this plugin do any of that? Hi there! No, you cannot limit the delivery zone with the admin settings. However, you may add any text notifying the customers that the delivery area is limited. As for another question, unfortunately, the plugin doesn’t give you the option to charge different fees based on distance. I am looking forward to have these features too. Hopefully you guys can make it happen. Thank you for your feedback. We’ll keep it in mind. Hi, I am using your plugin and extensions for a few clients of ours and congratulate your on a great plugin. I have another client who has a regular sit-down/carry-out restaurant with no “general” delivery services or any notable online ordering system. They were using Door-Dash but when it took more than 3 hours to deliver food to a location that was only 8 miles away…well, they were let go. This client has an excellent catering service and really great food, and the client wants on online ordering ONLY for the catering side. Of course I immediately installed Restaurant Menu and the Delivery Extension, but had forgotten that you can only order for dates a few days in the future. 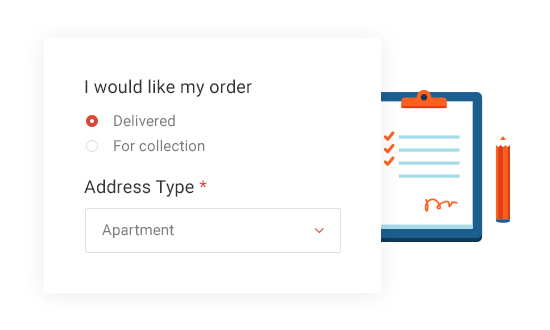 It would be great to have a “Catering” Extension, that would combine online order taking and have a more complex scheduling system, all in one plugin. 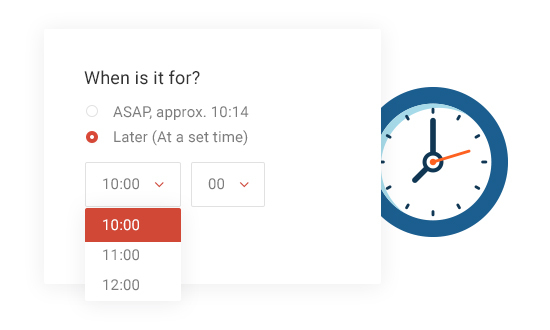 At the very least, you could accomplish this by simply changing the HOUR field in the Delivery Extension to a FULL date picker that defaults to the current day. Your standard online-ordering customer (e.g. 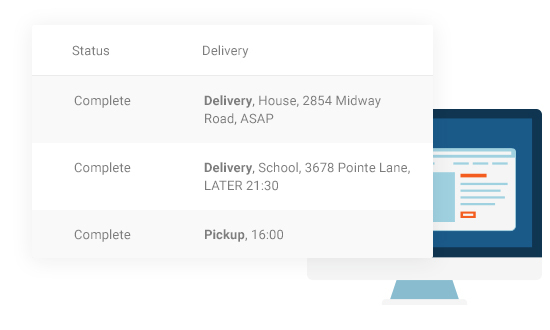 the customer ordering lunch online for pickup/delivery) can still have their flexibility while expanding the flexibility that would be required for restaurant catering. Since their site is going to be only used for catering at this time, 99% of their catering customers will be selecting a date anywhere between 1 day and a year or more in the future. Cool data reporting would be icing on the cake. The date picker opens up the doors and allows it to be used for a catering business. That seems to be a no-brainer, and also… the best part… you will then have a truly one-of-a-kind plugin that thousands of restaurants will choose over the others for that one simple change. Hi Mark! Sorry for not getting back to you earlier! We think that these are great well-thought ideas! However, we need to discuss with our team whether and when the date picker can be added along with the hour picker. We’ll get back to you here once we have a more satisfactory answer. At the moment we’ve added it to our feature request list. Will keep you in the loop! 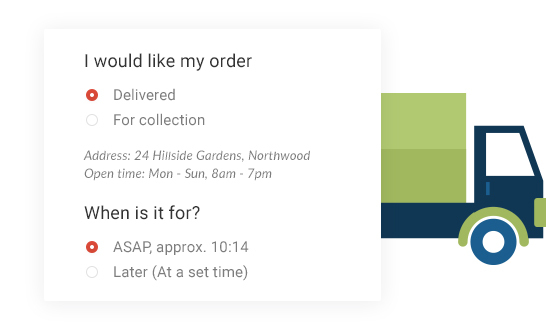 hi…can the delivery piece integrate with 3rd party like UberEats? No, there is not any integration available for now. You can describe your request and email us all the details. We’ll review it and probably will provide some solution later. You can use ‘Cash on delivery (process orders manually)’ payment method and send invoices via email. And in which file should I install the Sample Gateway Addon? I installed ther in the file “Gateways” but it didnt add anything to the settings page. You should install Sample Gateway Addon and edit files of this addon. You can find your custom payment method via Restaurant Menu>Settings>Payment. Could you explain your question more detailed? Do you need an addon for applying discount codes? Yes, i’m a web designer. I need an addon for discount codes for my clients. Thank you for the details. There is no discount option available now. We have added your idea with discount to features list. We’ll review it and see whether it is really needed. Thank you. Ok. Thanks. Restaurant plugin is standalone? This is WordPress plugin and it can be used at WordPress CMS only. Bug fix: fixed the issue of ASAP time not setting correctly. Bug fix: fixed the issue of undelivered emails with "Cash on delivery" method selected.